GM-X is available on-the-go or in the office. Its fluid, responsive Web design works in any browser that supports CSS1, and HTML 4.0.1 Transitional or HTML 5 standards.This includes all modern browers running on desktop and laptop personal computers (PCs), tablet devices (Android™ and Apple® iPad®) and smartphones (Android and Apple iPhone®). Responsive Web design causes the browser to automatically adapt to any change in screen size and orientation in a way that makes GM-X screens fully functional and easy-to-use regardless of size and horizontal or vertical orientation, without zooming. 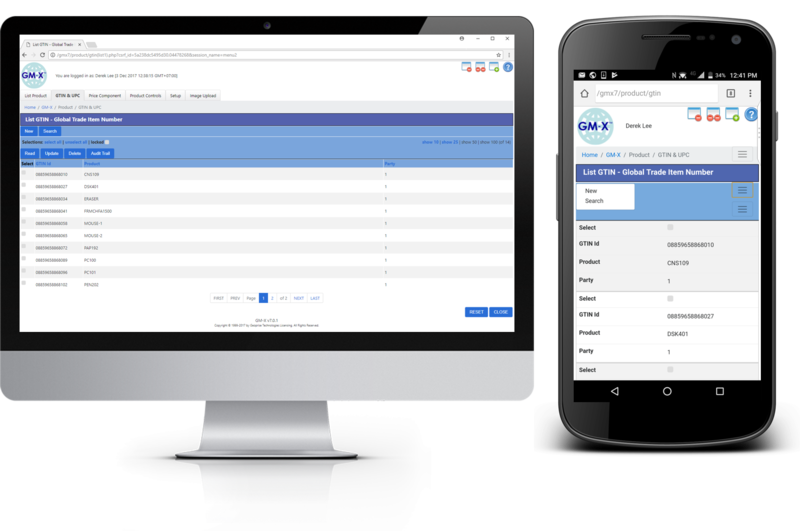 GM-X is the first and only ERP application in the world that works just as well on smartphones and tablets as it does on PCs, because no other ERP application in the world is built according to responsive Web design principles.